Daiwa have produced a large number of different reel models over the years. The Daiwa Millionaire 6RM baitcaster is very similar to the 6HM. Both are very well made and have stood the test of time well. These reels were sold in New Zealand mainly to salmon anglers in the early 1980s which means they are now over 25 years old! The two models are essentially the same except for several key differences. However they are best looked at together. Both the 6RM (red) and the 6HM (gray) share many of the same parts. The spool on the gray 6HM is slightly lighter and the pinion and drive gears differ slightly. But the level wind, frame, reel seat and so on are identical. The red Daiwa Millionaire 6RM has brass bushes while the 6HM has superior stainless steel ball bearings. The ball bearings however will fit either reel. Aside from the colour the most noticeable difference between the two reels are the handles. The red 6RM has more of a “game reel” type handle while the gray 6HM has a more typical paddle handle normally used on a baitcasting reel. The parts are interchangeable so you can upgrade a Daiwa Millionaire 6RM by replacing the bushes with bearings. When purchasing one of these old reels watch out for line guide wear. This is relatively soft metal and long hard use tends to cut grooves which in turn damage your monofilament line. 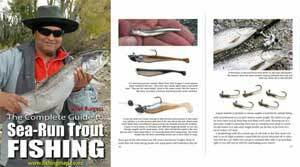 A good tackle store should be able to track down the correct guide or adapt a slightly different one. You can at a pinch smooth the guide “wires” by sanding with progressively finer wet and dry sand paper. This an excellent reel for casting zed spinners and ticers for salmon.